Home » Collection » Title Page for Volume III of Boccaccio's "Decamerone"
center: IL / DECAMERONE / DI / M.GIOVANNI / BOCCACCIO. / TOMO III. 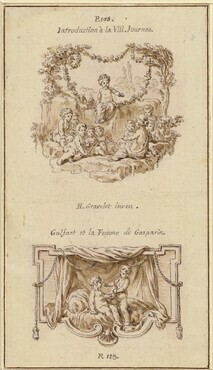 ; lower center: Londra 1757.; lower right: H.Gravelot inv.